If I'm being honest I haven't spent much time thinking about sustainability. It has always seemed overwhelming for this time in my life with homeschooling and the two little kids. 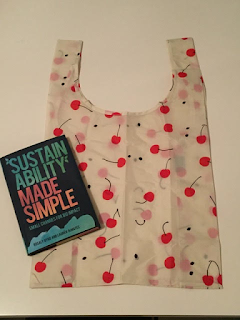 When I was approached to read Sustainability Made Simple: Small Changes For Big Impact by Rosaly Byrd and Lauren DeMates - I was intrigued. I liked the title because it sounded like it was written for someone like me. Someone who needed the work done for them as far as explaining Sustainability and the importance. I was right! The first half of the book really is all information. From explanation to examples of why we need to think about sustainability. The next part of the book is the gold. That second half is full of practical ways to apply lifestyle changes. Things you can do right now. Most are fairly easy to apply. The thing is if we all did a few of these things we would be helping. I just watched an episode of My Name is Earl a few weeks ago. The Episode - I Robbed a Stoner Bling - has Earl on a mission to repay a guy they stole from. This guy now lives on a commune where they practice sustainability and live off the land. (Think no tv, no running water.) Earl learns all about how his behavior is causing global issues and he panics. Until his guru explains it is the little things we do that can make a big difference. I like that. Because I would be like Earl was, freaking out if I had to take the whole weight of the issue on my own shoulders but by just implementing small changes it isn't so heavy. Sustainability Made Simple provides kid-friendly, practical pointers for families interested in adopting a greener, more sustainable lifestyle. 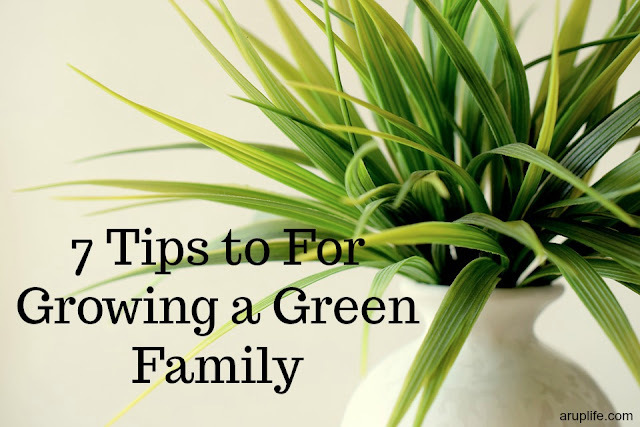 Raising an environmentally friendly family is a win-win for everyone — going green contributes to your family’s health, your pocketbook and the overall well being of the planet. Better yet, reducing your family’s environmental footprint doesn’t require “going off the grid” or making drastic changes that take time and money. Saving the world starts at home and the best part is that doing good can be a fun, family affair! With an emphasis on science, facts and practicality, environmental experts and co-authors Rosaly Bird and Lauren DeMates introduce readers to the concept of sustainability and humanity’s growing impact on the environment, and translate science-based evidence into easy-to-understand language to show how these big issues are linked to daily life and how working towards sustainability is an opportunity to do things better. Swap or donate clothes. Swapping clothes that your kids have grown out of with other parents is a great way to share and/or get “new” clothes without actually purchasing anything. If you can’t think of anyone to swap with, then donating old clothes is another great option. Swapping or donating clothes helps with spring cleaning and extends the life of each item. One lucky reader will win a copy of Sustainability Made Simple and a large reusable Baggu tote. I grow my own fruits and vegetables.